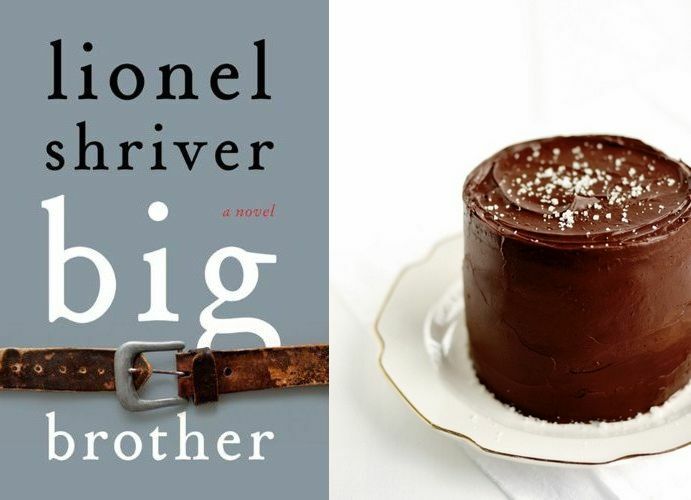 Is Big Brother by Lionel Shriver a cautionary tale or a motivational story? I won’t reveal although regardless, the answer is open to interpretation. Shriver draws on the ‘sliding doors’ element of The Post-Birthday World and combines it with sly social commentary, a la So Much For That and the result is Big Brother. It’s the story of Pandora, her husband, Fletcher and her brother, Edison. When Pandora discovers Edison is down on his luck, she invites him to visit her and her family in Iowa. But when Pandora goes to pick Edison up from the airport, she doesn’t recognise him. In the years since they’ve seen one another, the once slim, hip New York jazz pianist has gained hundreds of pounds. Shriver layers together broad themes – sibling relationships, obesity, loyalty in marriage and the definition of success. It is a brilliant book and a reminder that Shriver is a master story-teller. The ending of Big Brother is extremely clever (and will drive some readers mad) – in one sense, I didn’t see it coming but in the other, how could I not? 4/5 I’m loathe to compare this book to Kevin (Shriver must get so sick of that happening)…. But, although it’s no Kevin, it’s my favourite book of Shriver’s since then. I received my copy of Big Brother from the publisher, Harper Collins Australia via NetGalley, in exchange for an honest review. There’s only one thing to be had with Big Brother and that’s chocolate cake. Pandora has a recipe for what she calls ‘Chocolate Dump Cake’, the richest, most chocolatey concoction you can imagine. This Salted Caramel Chocolate Fudge Cake by Sweetapolita could equally fit the fill. I am such a sucker for chocolate cake. It is my absolute favorite, particularly chocolate, chocolate chip bundt cake. I’ve heard a lot of good things about this one, but I am not a huge fan of ambiguous endings. That being said, someday I will read Shriver and I’m sure I’ll start with Kevin. Does this one have enough food in it to qualify as foodie fiction? You haven’t read Kevin?! I’m going to start hassling until you do! Seriously one of the most frightening, powerful books I’ve read. Not enough food in Big Brother to count as foodie fiction. The ending isn’t ambiguous or unresolved but I can’t say any more than that or it would spoil it. So…The Book Thief, We Need To Talk About Kevin, or Heft – which comes first? Gosh you ask hard questions. Book Thief and Kevin are on my all-time favourites list (for very different reasons). I feel as if I short-changed Heft when I reviewed it, simply because I read it right after The Art of Fielding and I really, really loved The Art of Fielding. Whatever you do, don’t read them one after another – I think there’s danger in reading lots of really, really good books in a row. You get a little spoiled. Start with The Book Thief. Then Heft. Save Kevin for last (I’m BUSTING to hear your take on Kevin though… And then I’ll be BUSTING even more to hear your take on the movie version of Kevin). It’s disturbing. It’s frightening (not in a horror kind of way but in a ‘real’ kind of way). I won’t say anything about the movie until you’ve seen it. I cannot wait to hear your review of “Kevin”! !